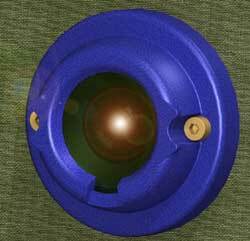 Jody Muelaner supported Global Design Solutions (GDS) in designing a new LED lighting product. ease of manufacture in injection moulded plastic. 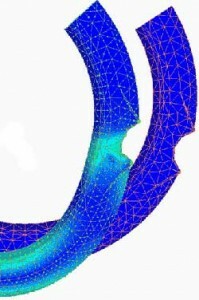 FEA was used to optimise the clip design. the lens by hand while also ensuring that peak stresses did not result in a reduced service life. Fundamental stress analysis was compared to FEA results to ensure accuracy and a full understanding of the behaviour of the component. The design of components also had to consider the limitations of single part moulds since cost of tooling excluded more complex designs. was requested to enable the marketing team at GDS to evaluate the design.